Two highly competitive pickups on the light duty truck market are the 2019 Chevy Silverado 1500 and 2019 Toyota Tundra. Our product experts at Mike Anderson Chevrolet of Merrillville near Gary, IN, crafted this truck comparison to make your full-size pickup decision easy. 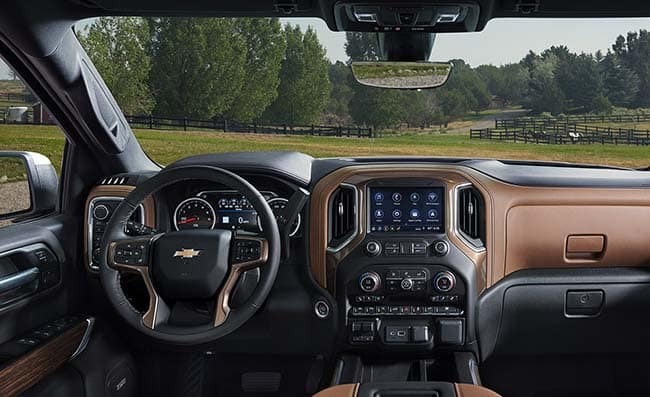 Browse our new Chevy Silverado 1500 inventory to find your favorite Silverado trim or learn more about the 2019 Chevy Silverado 1500 by visiting our model research hub. If you have any questions about the all-new Chevy Silverado 1500 and Toyota Tundra differences, contact a Mike Anderson Chevrolet representative at (219) 947-4151 or fill out our online form. For the purposes of this comparison, we’ll be looking at the 2019 Chevy Silverado 1500 LT, starting at $38,395 MSRP, and the 2019 Toyota Tundra SR5, starting at $33,220 MSRP. When it comes to performance, it’s hard to beat the all-new Silverado 1500. Unlike the 6-speed transmission of the 2019 Toyota Tundra, the Chevy Silverado 1500 boasts an 8-speed smooth shifting, automatic transmission. Combined with unmatchable towing capabilities and torque, the 2019 Chevy Silverado 1500 relies on proven performance to impress. View respective engine specifications of these trucks below. A full-size truck’s performance is only half of the package. 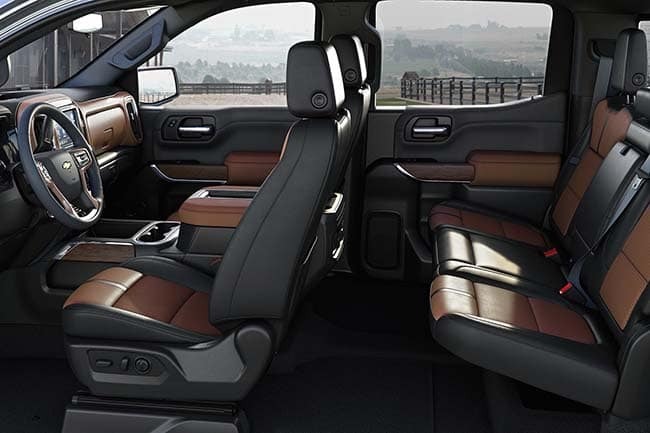 Both the 2019 Chevy Silverado 1500 and Toyota Tundra deliver a spacious cabin with the capacity to accommodate up to six passengers via a 40/20/40 split-bench front seat. However, only the new Silverado 1500 provides several luxurious upgrades. Discover interior features only available in the all-new Chevy Silverado 1500 below. Stay connected wherever you go in the all-new Chevy Silverado 1500 and Toyota Tundra. Both light duty trucks offer integrated Bluetooth® technology, 12V power outlets, and rear vision cameras to make your daily drive a little easier. 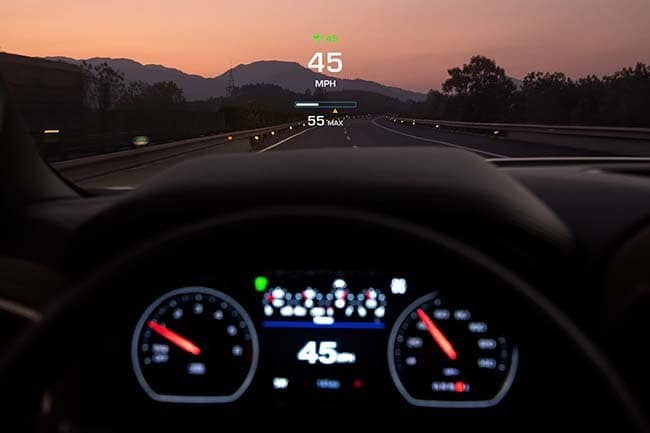 Explore available high-tech features in the 2019 Chevy Silverado 1500 below. Drive confidently in the 2019 Chevy Silverado 1500 and Toyota Tundra. Each full-size pickup truck has an all-inclusive suite of safety options designed to bring you peace of mind. View safety-forward features found only available on the new Chevy Silverado 1500 below. Convinced the 2019 Chevy Silverado 1500 is for you? Check out the new Chevy Silverado inventory at Mike Anderson Chevrolet of Merrillville near Gary, IN, to find the Silverado trim that fits your lifestyle. Then, schedule a test drive and we’ll put you behind the wheel of your favorite model. To learn more about the all-new Chevy Silverado 1500 versus Toyota Tundra, get in touch with a Mike Anderson Chevrolet specialist by calling (219) 947-4151 or fill out our online form.